Scroll Down for free pattern! 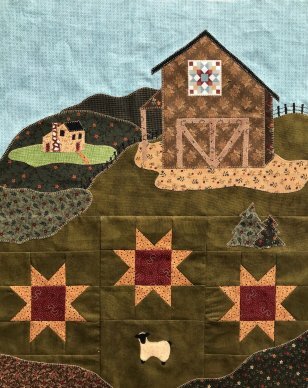 Travel across the country with us as we showcase different barns as we've seen all featuring quilt blocks. 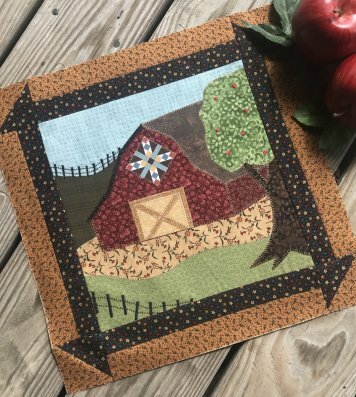 The quilt blocks on our barns are printed quilt fabric and included with each barn! the fabrics needed to complete a beautiful quilt including binding. Best of all...Vicki is sharing the patterns with you for FREE! 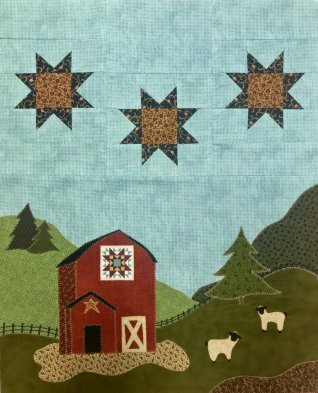 Each month on the 15th, a block pattern will be posted on our website for FREE download for 30 days. No obligations except follow us and remember to check back often. We will try to send out reminders in our newsletter but we are better at sewing then computers! Like our fabrics? 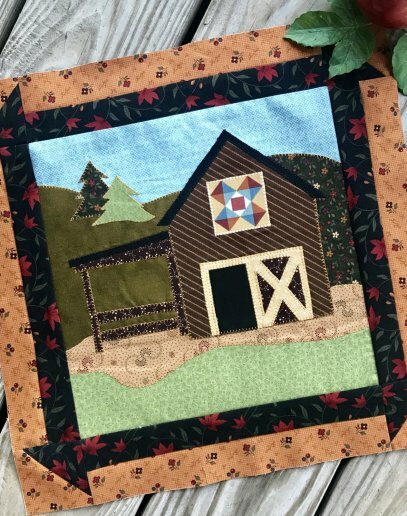 Make you quilt the same as Vicki's by getting the kit! Sign up by calling the shop or clicking the subscribe button below! Don't want to worry about with downloading patterns? Choose the Kit with Pattern option to receive a full size color, professionally printed pattern with your kit. Subscription begins with current month. Please order past months a-la-cart.